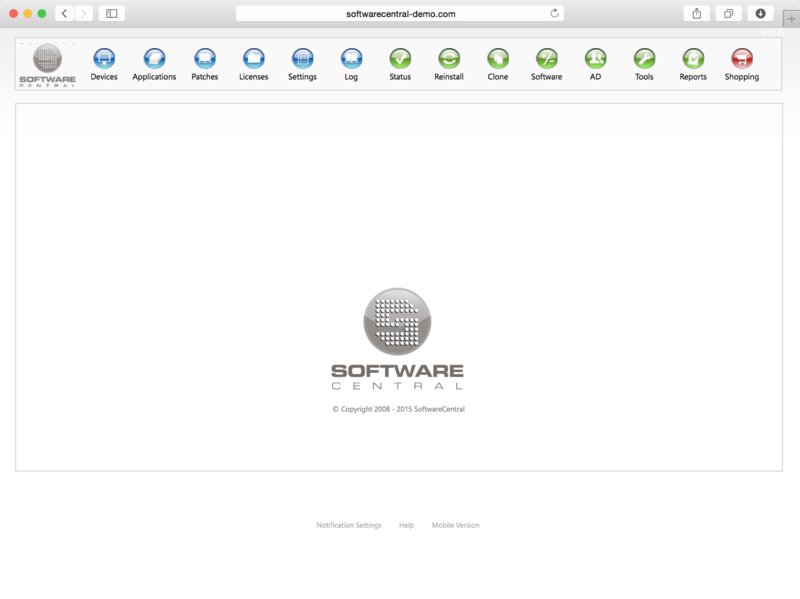 SoftwareCentral is the most effective web interface for the SCCM Server. Usually time consuming SCCM tasks can be done with just a few clicks. 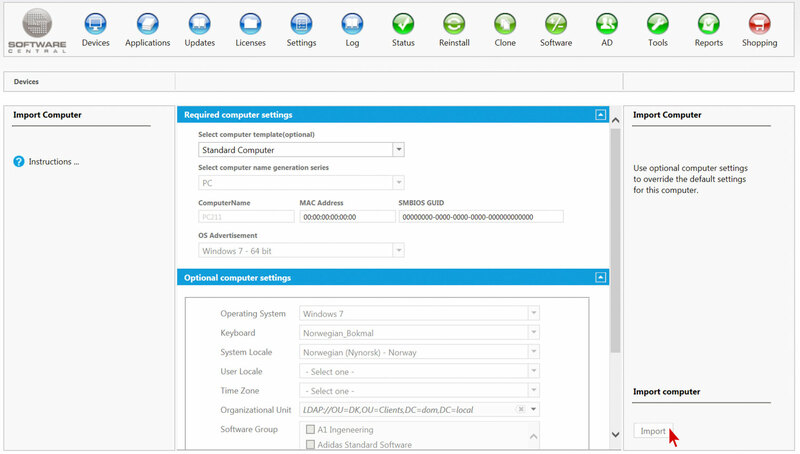 The simple and self-explanatory user interface makes it possible to hand over SCCM tasks to Helpdesk and Support staff. Here we will show you how you can import a client pc with 3 simple steps. 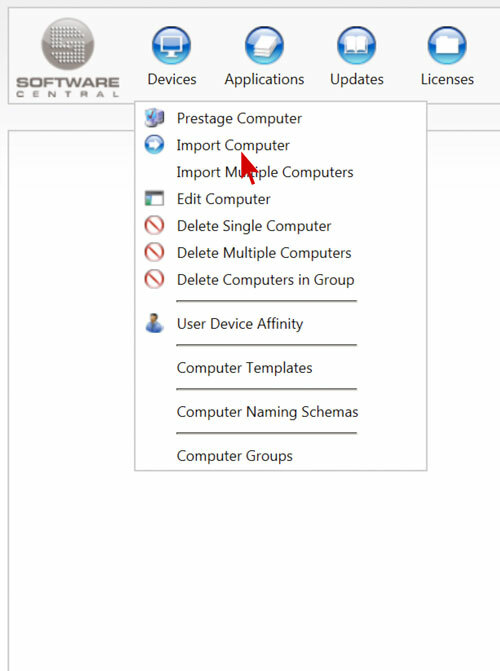 Under Devices you can easily import PCs, create computer templates and groups, as well as, define PC naming schemas. 2. 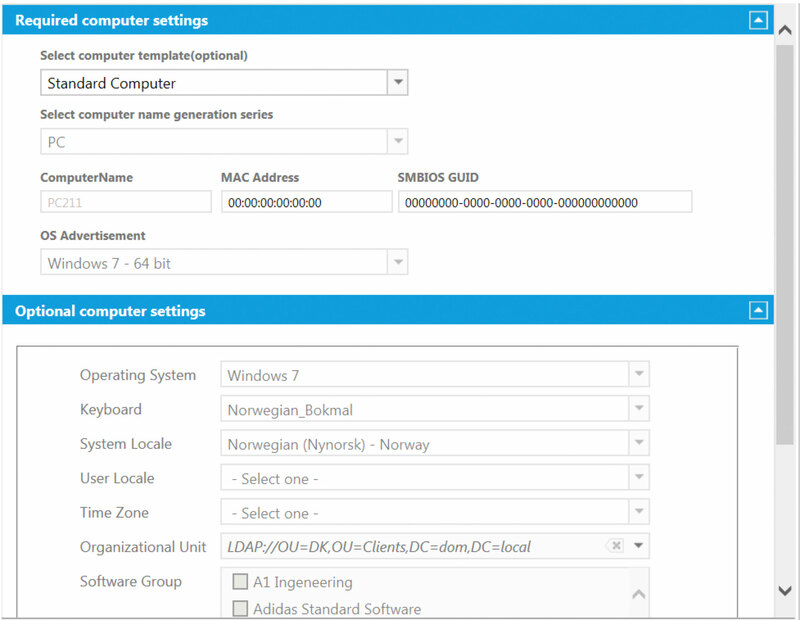 Now you can choose between your different computer templates or define the settings manually. 3. When all settings are in place you simply click on Import. Done! In case you want to import multiple computers at the same time, you can do so by choosing Import Multiple Computers in the beginning and follow the same steps.